Creating additional revenue channels in your agency is easy when you learn how to sell disability insurance using the M.U.G. plan. Learn how today. 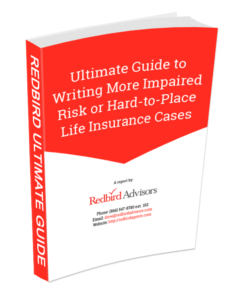 Getting life insurance with epilepsy is not impossible, but it does take a little bit of home work. You can find the right questions to ask here. People with depression or anxiety may find it difficult qualifying for life insurance. Asking these 8 questions will hep you get your clients approved. The purpose of the letter is simple: provide case-specific details that help get your client the most competitive offer from the insurance company and likely expedite the approval process. Fixed Annuity Scenarios: There is nothing scary about annuities. Take the time to educate yourself in order to have a relevant discussion with your clients. There are multiple questions you should be asking before submitting a quote for life insurance for patients with cancer. There are key questions that need to be answered to determine if life insurance for clients with kidney disease is a possibility. Heart failure is the leading cause for hospitalization in individuals over the age of 65 and roughly 670,000 people per year are diagnosed with this condition. This complex disease is one of the toughest conditions to pass through underwriting when applying for life insurance. Writing life insurance on individuals, like mountain climbers, is always an interesting process, but it can be accomplished.